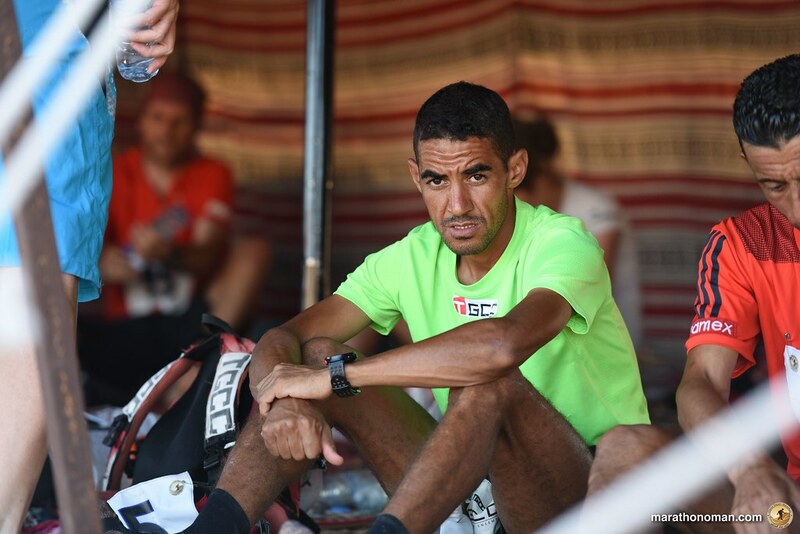 The Marathon stage is the longest stage of all the race, with 42,195 km takes the runners to the last camp before the end of the race, the start hour was at 15.00 for the most of the runners, just the first 20 have been allowed to start at 17.00. Even if this stage is almost at the end of the Oman Desert Marathon and is the longest, all runners enjoyed it and found it less difficult than the second and the third one. 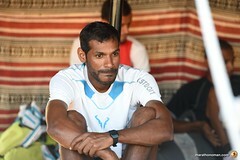 The weather was absolutely perfect and running at night helped to keep the body temperature low and a good hydration. 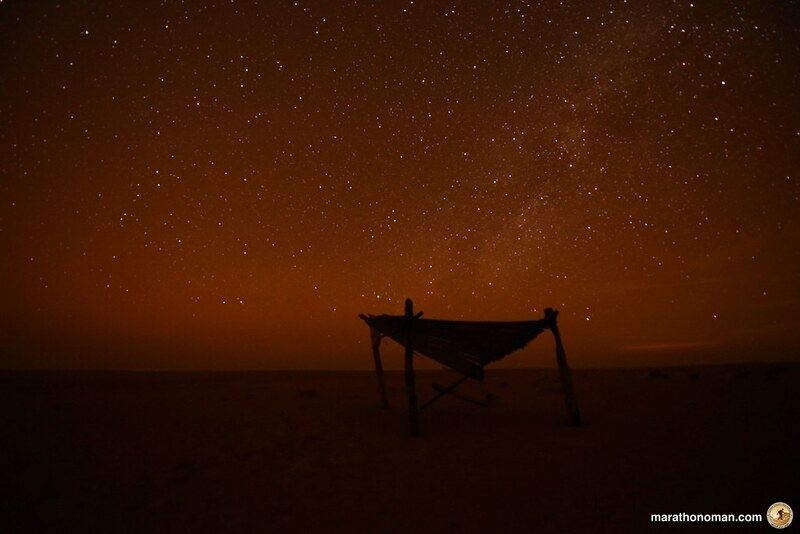 Running in the desert at night is something magic, the fresh air and the total absence of human activity makes the sky very bright and transmits the incredible energy of this landscapes. 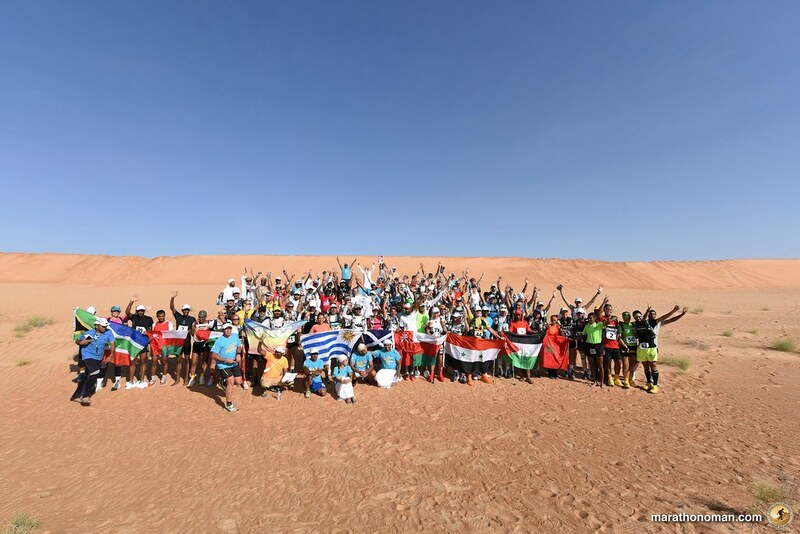 The course was smooth, and after the first 15 kilometers of soft sand the ground become very compact and easy to run following a desert path along the some vegetation. 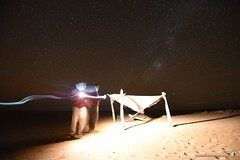 We passed by a Bedouins house and their camels and goats wile feeding with the desert grass and bushes. 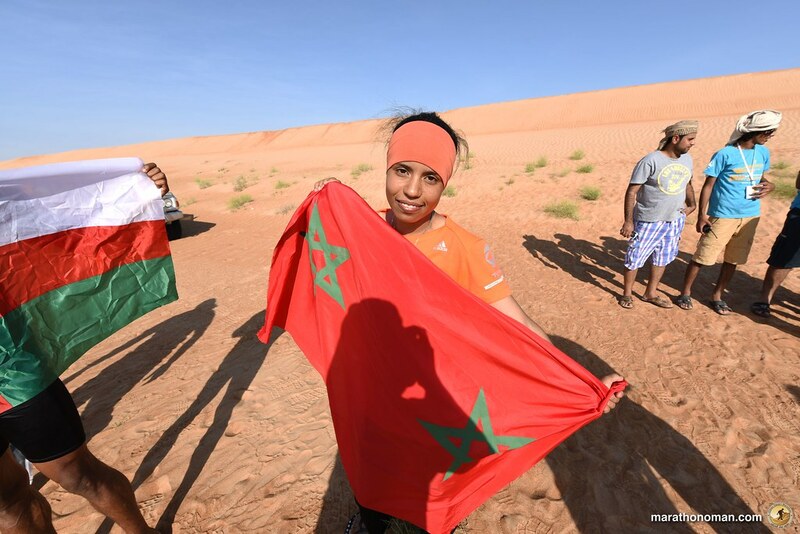 This was the first sign of human presence after 3 stages of uncontaminated desert. 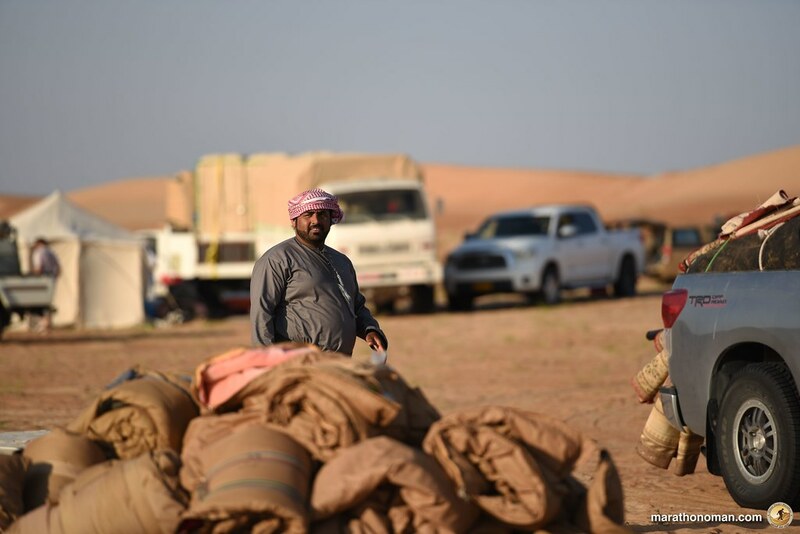 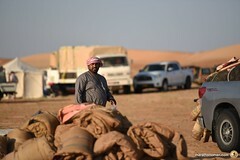 The Bedouin, with the traditional Omani hospitality, use to offer tea, coffee and dates to people crossing their portion of desert and they sell petrol and handmade ropes and artifacts. 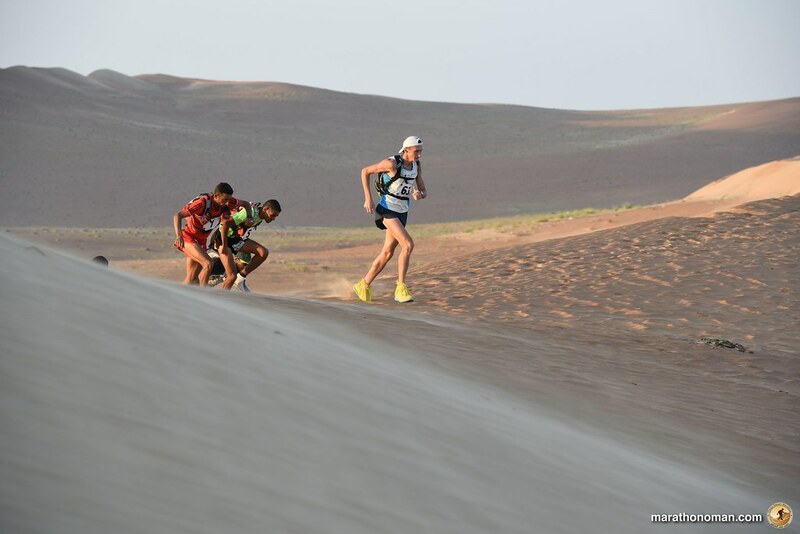 The sun went down at about 6 PM and the temperature drop down: this conditions made the last kilometers relatively fast also for the slowest runners. 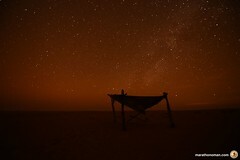 All the course was marked by led lights one in sight of the other: getting lost was almost impossible. 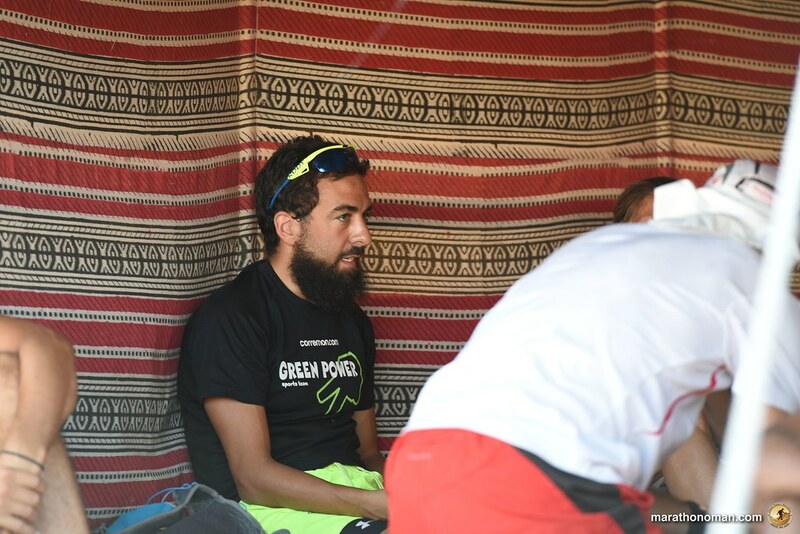 If this happens the cars of the organization that are monitoring constantly the runners will see the fluorescent stick attached to everybody backpack, in order to make all runners visible from far. 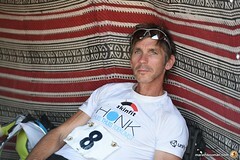 All participants finished the stage in time and the slower runner had 6 hours of rest. 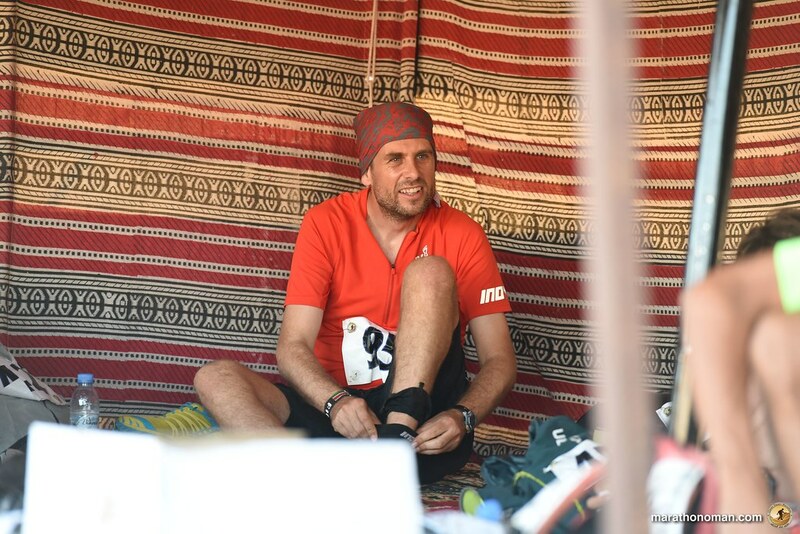 The stage had been dominated by Rashid Al Murabiti in only 3 hours 39 minutes and 19 seconds, followed by the Jordan Salamah Aaqra, and by Evgini Glyva with 4 hours 14 minutes and 43 seconds. 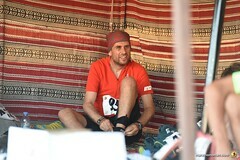 The last runner arrived at the camp at about 1.30. 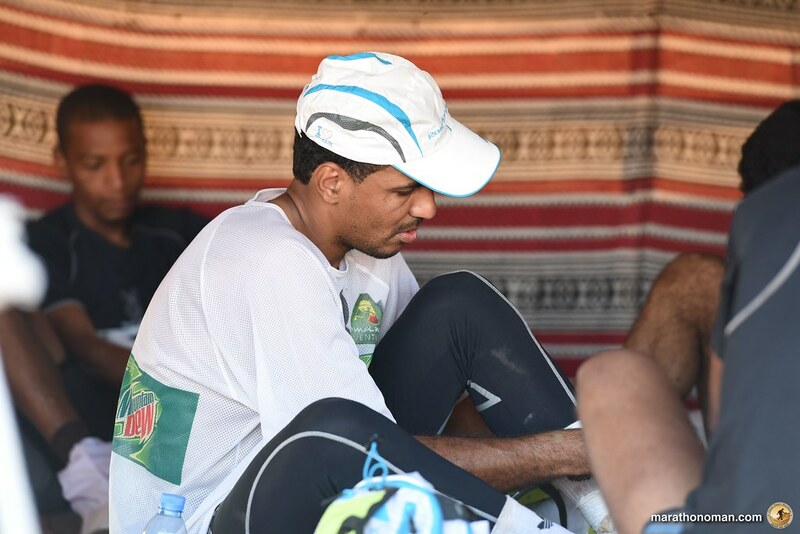 Oman Desert Marathon organization puts a great effort in mounting, dismounting and transporting everyday the tents and the camp across the desert. 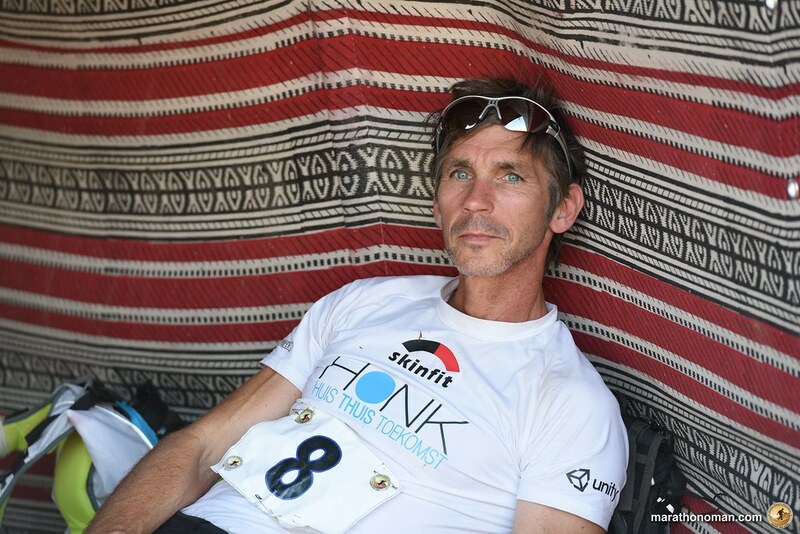 Today this work was don in just a few hours: at 5 last runners left the camp of stage four, and at 20.39 the winner crossed the finish line finding the camp almost ready. 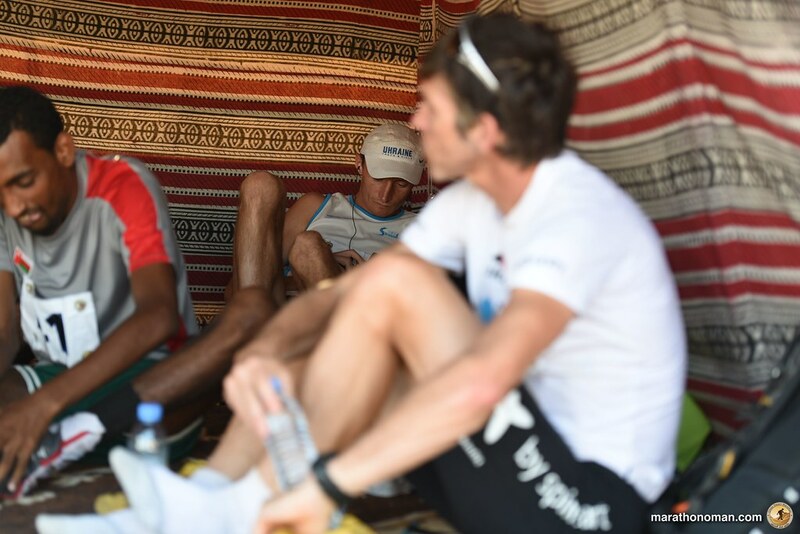 Stage six will start at 9 AM and the finish line will be with be on the shore of the Arabic Sea, with the feet in the water. 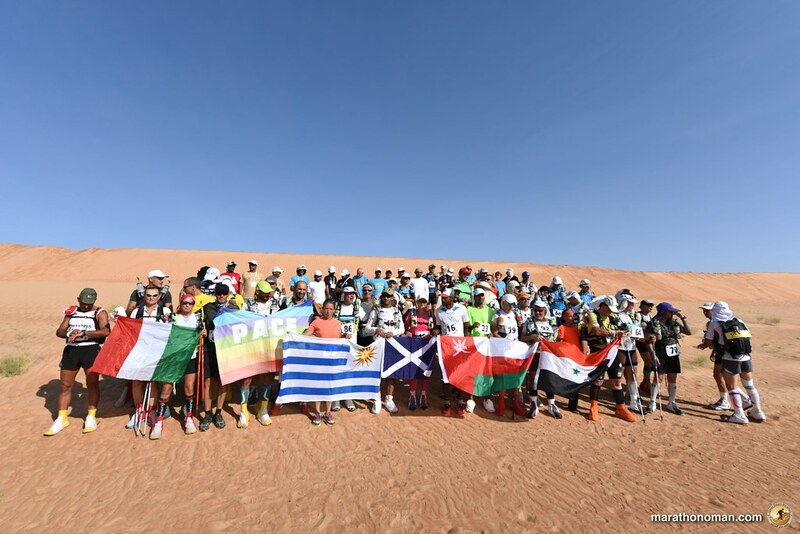 Oman Desert Marathon 2018: Stage 1 and info. 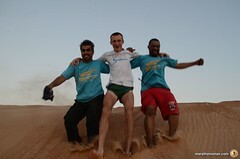 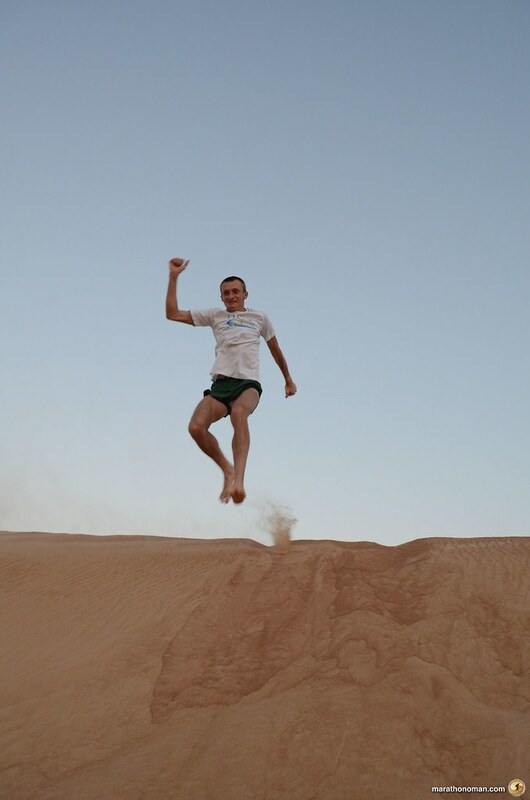 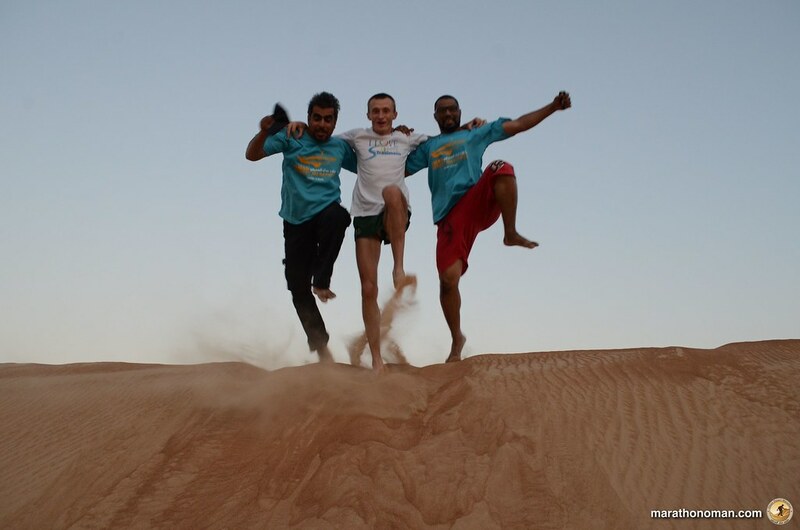 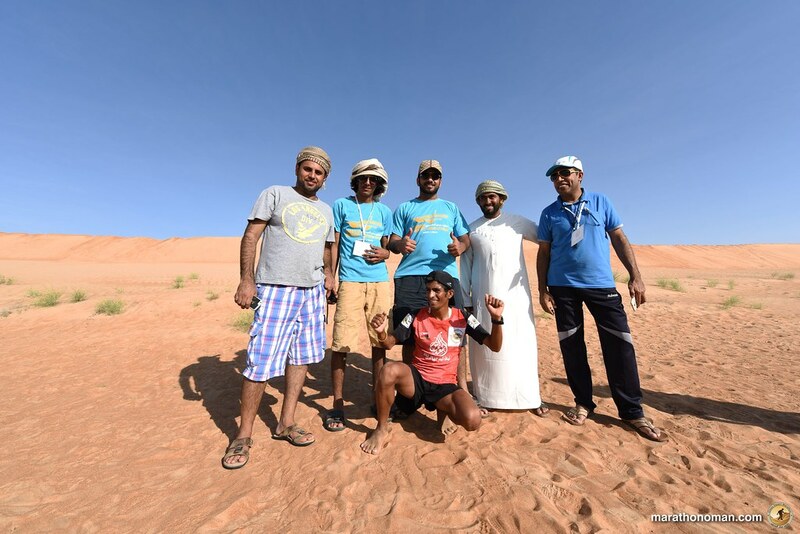 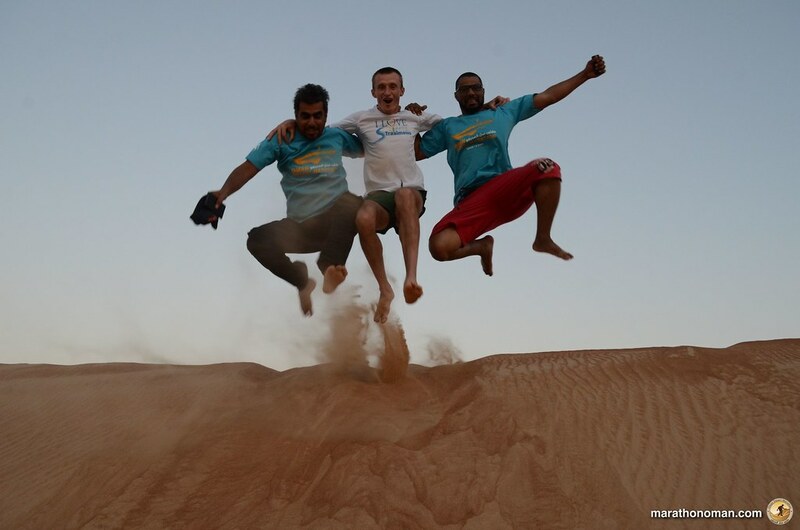 Our journey to discover the 6th Oman Desert Marathon starts today! Registrations for the 6th Oman Desert Marathon are now open!